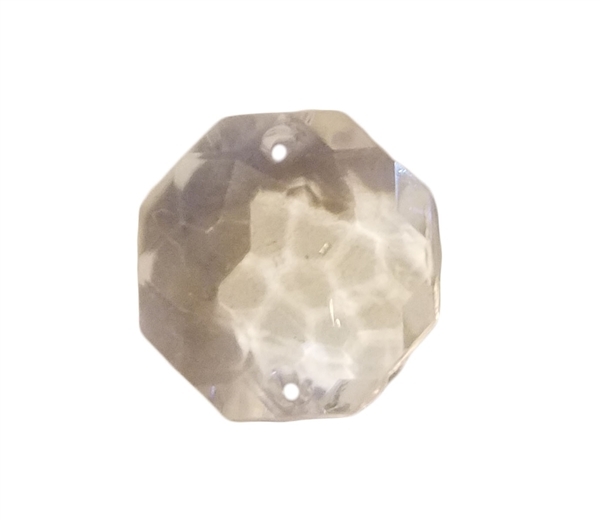 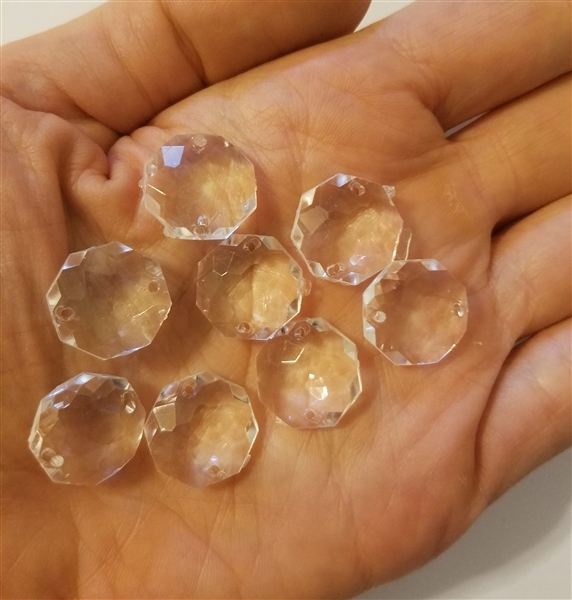 Octagon (8-sided) shape faceted plastic beads. 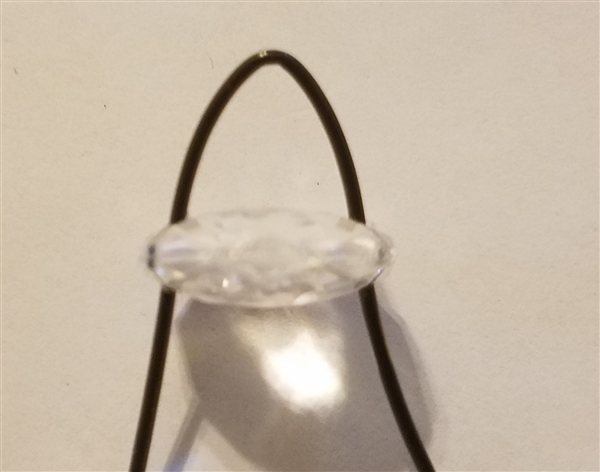 Measure 15 mm (9/16 inch) in diameter with small 1 mm hole on either side for stringing/hanging. 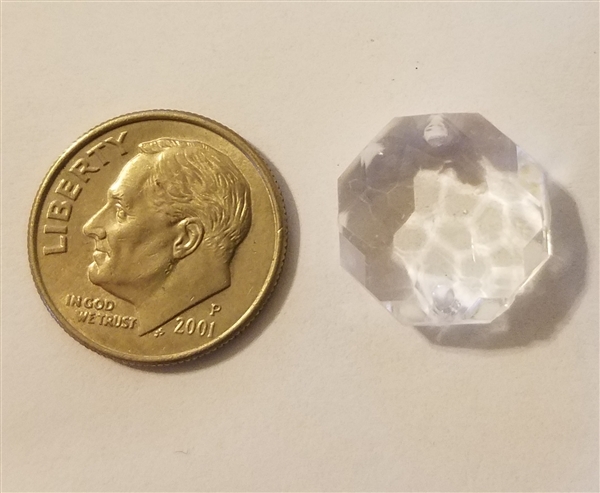 Thickness is approximately 5 mm.